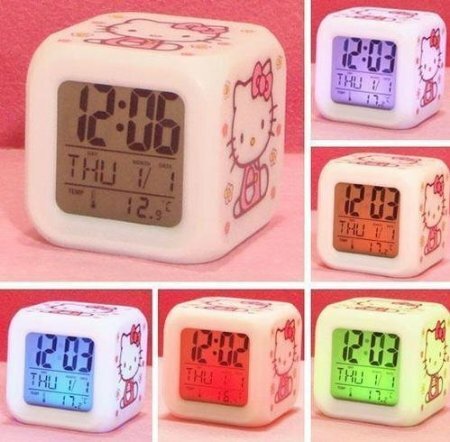 Hello Kitty Cube Alarm Clock with Soothing LED Lights and Thermometer $3.81 Free Shipping! 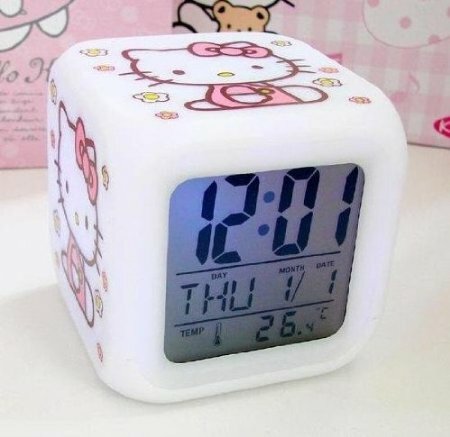 I just bought this adorable Hello Kitty Alarm Clock w/ Soothing LED Lights and Thermometer for ONLY $3.81 with FREE shipping! Amazon deals can sometimes go quickly and they change often so if you want one for this price, go now! My daughter is going to LOVE it, she’s a huge Hello Kitty fan! There was no qualifying amount to spend for the free shipping either and I am not a Prime member.